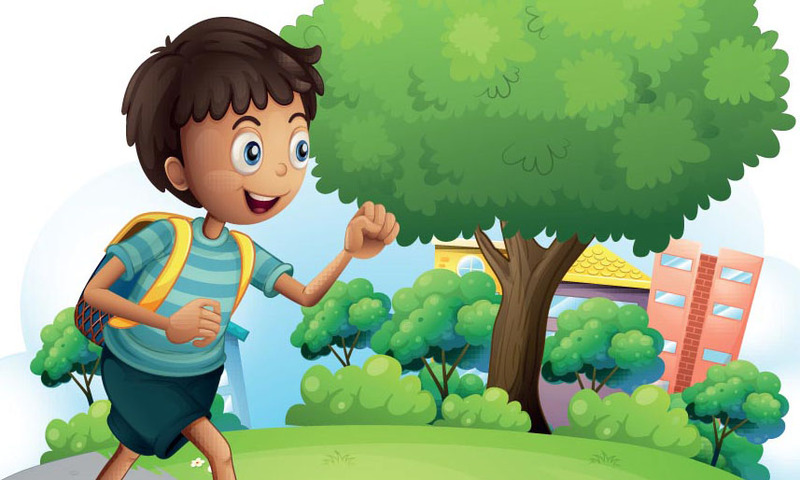 Home Fiction for Kids Stories for Kids Go For It, Bablu! It happened on the day school started after a heavenly two months of summer holidays. Shankar refused to wake up at 6 am. He wanted to dream more about his visit to his grandparents’ home. They lived in the picturesque city of Mysore in the southern Indian state of Karnataka. He particularly wanted to remember his two trips to the Bandipur National Park. It was a magical forest in the shade of the Nilgiri mountains which always seemed to have their heads in the clouds! Shankar had been lucky to see the stately Asian elephant, the Mugger crocodile, the four-horned antelope, and the leopard. The tiger had been elusive. “Next time,” Shankar told himself happy at the thought. He wanted “next time” to be now! But first, his mother and then his father kept talking in his ear till he was forced to get up. Have you ever had anyone droning into your ear while you tried to sleep? It can be terrible. However, once Shankar saw his friends in the school bus, he felt happy to be back from his dream. When Shankar returned home in the afternoon he saw his mother standing at the door. That was strange. He wondered, “Why hasn’t Amma gone to office today?” When he saw the worried look on her face he felt a flash of fear. Amma’s words calmed Shankar. He felt happy at the thought of helping out Appa. In the next few days he sat next to his mother while she interviewed several men for the post of chauffeur to Appa. They both decided on Raj. He was 30 years old and had a pleasant way of speaking. “Raj will take good care of Appa,” Shankar thought. Finally, Appa returned from hospital. He told a worried Shankar that Raj had driven very carefully. A lot of exciting things happened on that Sunday. Raj’s family came to stay with them in the small flat in their backyard. That’s how Shankar met Raj’s eight-year-old son Bablu. Bablu had a monkey face, with bright eyes and spiky hair. From the day he met Shankar, he became his fan. To eight-year-old Bablu, 11-year-old Shankar seemed to be a big boy. He would always follow Shankar around. Whenever Shankar looked up from the book he was reading, he would find Bablu’s face staring at him through the window. While brushing his teeth he would often get confused when he saw another face staring back at him from the mirror! 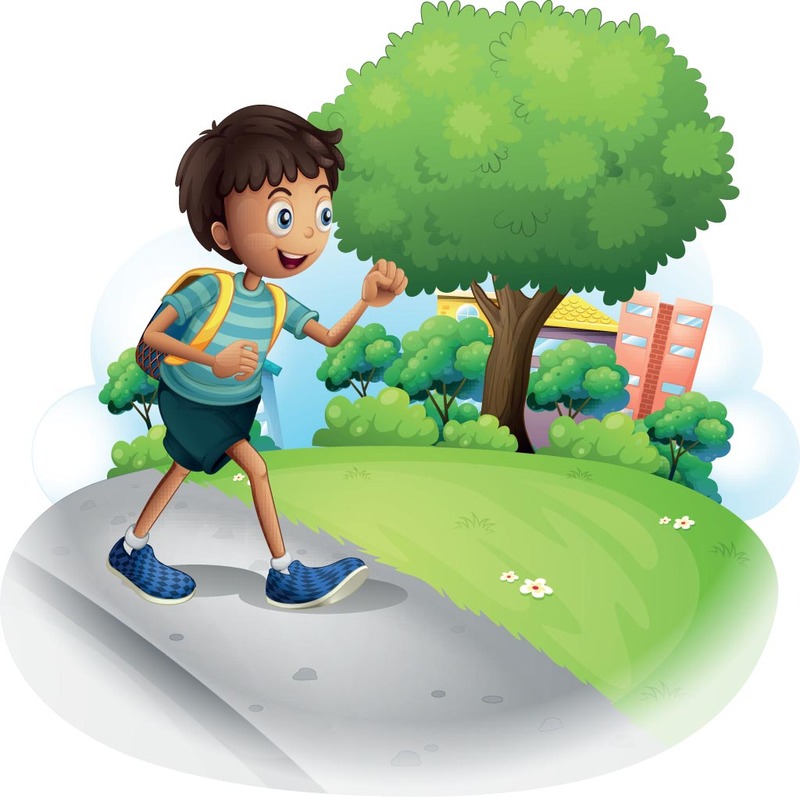 And when he walked back from the school bus stop in the afternoon, he would have two shadows – one was his own and the other shadow was Bablu walking a few paces behind! Bablu did not go to school. Of course he was admitted to a local government school but he refused to go. He told Shankar shyly that the teachers only made them copy words from the blackboard. Since he had not learnt to read he could not understand anything that was written on the board. Shankar felt sorry for him. One Sunday, Shankar decided to ride his bicycle to his friend’s house nearby. As he wheeled out his bicycle from the garage, he saw a strange sight. Bablu was sitting under a tree holding a book in his hands. Shankar tip-toed closer and discovered that Bablu was holding one of his books. What’s more, Bablu was holding the book upside down. Since he could not read it, did not matter which way he held the book. The bicycle went back into the garage. Shankar walked back to the house. His parents were reading the newspapers over steaming cups of delicious south Indian filter coffee. Shankar told them they had to help Bablu get into a better school. It was not very easy to get Bablu admitted to a new school, because the time for admissions was over. But one principal looked at Bablu kindly and admitted him to her school. The next day, Bablu went to his new school a very proud boy – wearing a brand new shirt, shorts and a tie! Shankar went to the stationary shop which kept kids magazines, books, craft kits for kids in the 4-8 age group and worksheets for kids up to Class VIII. He bought two interesting worksheets. One worksheet taught the Hindi alphabet. Each letter had a picture of a bird, animal, eatable, flower or tree next to it. There was also a story attached to each letter. The English worksheet was also similar. Bablu had a great time colouring the apple while chanting A for apple. Shankar read out the story of William Tell and the apple. He also read stories from Hindi kids magazines like Champak and Chandamama and from English kids magazines like National Geographic Kids’ magazine. When he wanted to reward Bablu for working hard he would read from his favourite fairy tale book for kids. Shankar picked up Bablu and did a war dance right there and then. Now Bablu has another wish. He wants to work on the computer like Shankar. He wants to visit reading websites for kids, and he wants to play the online treasure hunt games that his Shankar bhaiya plays. Next articleWhy can’t the Sun melt Snow?